Elephants are my favorite animal. I think they are just so sweet and it saddens me that their endangered. 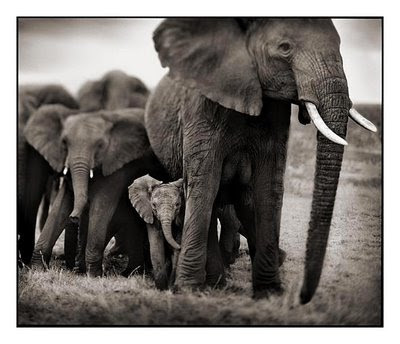 Nick Brandt has alot of really nice wildlife photography. check it out.